Mindfulness is the practice of bringing our awareness and attention to the present moment. It often involves a meditation practice that focuses on paying attention to your internal experience-your thoughts, feelings, and physical sessions-and external environment, without placing any judgment of good or bad. 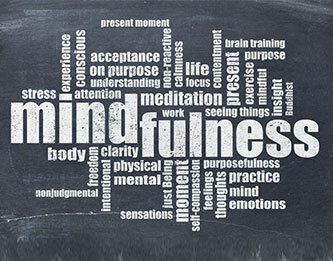 MBCT uses traditional methods from cognitive behaviour therapy inconjuction with mindfulness and mindfulness meditation. It teaches us that it’s not our emotions but our reaction to those emotions that is problematic. MBCT focuses on being aware of our thoughts and emotions and not reacting to them. It teaches us the ability to step back and reflect on the present moment instead of being on an “automatic pilot”. It facilitates paying attention to our lives on a moment to moment basis instead of dwelling in the past or worry about the future. MBCT fosters kindness, compassion and acceptance for one’s experience and self. MBCT is a clinically proven treatment. Clinical research has demonstrated that MBCT has been an effective form of treatment in preventing relapse of depression, management of stress and anxiety.